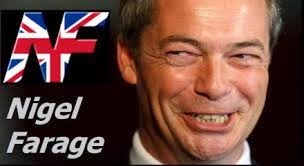 Junius on UKIP: >Farage And Fuller: Nattrass Speaks Out! An e-mail has been circling for the last few days in which Mike Nattrass lambasts Farage's leadership style, and questions his moral integrity. Nattrass is not the only one to do this, of course. He has however put the matter of Farage's relationship with Annabelle Fuller back into the spotlight..... Its only a matter of time! Farage is now obviously on the ropes and trying to spin his problems against former UKIP MEPs. When his own track record is exposed the public will understand why MEPs have walked away from him in disgust and do not want to be associated with his excesses in all areas. The MEP resignations from UKIP have taken place over a period of 5 years, many trying to change things from inside UKIP before leaving and knowing that he was the problem, not UKIP members. There are many other recent high profile resignations including UKIP Chief Executive Will Gilpin and in Scotland Lord Monckton, making more than 20 "big UKIP names" who have recently departed. WHY DID HE LOOSE THE OTHER MEPs? He ditched the hard work done on the manifesto because he wants to make policy on the hoof. He stuck with racists in his EFD Group despite complaints from his MEPs, because without them he would lose money (money wins over principle in his world). He then changed the Constitution to give himself total power, because he knows better than to let members have an honest vote. He cannot dispose of Annabelle Fuller because her story would make the front pages, and there is much more to say in this area. He put up with Bloom, who found difficulty keeping pace with Farage's drinking, until Bloom finally upstaged him! 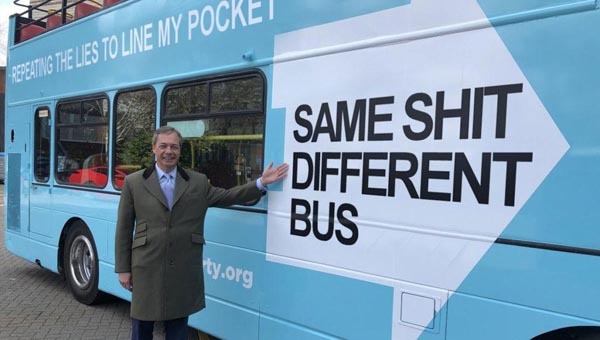 He has moved total power and all resources to himself using the MEP budgets and taking away all UKIP MEPs rights to attend "delegations" as without their knowlege he used these as bargaining chips to attract foreign MEPs to his EFD Group. (Yet UKIP MEPs were under the impression that the objective was to save taxpayer's money on "jollies"). In 2004 he made it a rule, with no exceptions, that no UKIP MEP would employ their wife ... then Animal Farm style he secretly employed his own wife. Plenty more to say but the bottom line is that one by one people loyal to UKIP policy try to stop his manipulative madness and then resign. It short he is a Dictator with major defects which are bringing him the title "Spivboy" and which will sink him before the May election. All very sad for those good UKIP members who have tried so very hard to build a Party over the last 15 years and more.